Good news to share is that a react app means it is static. This means that once you had built all your files, there won’t be need of executing any instruction. Another news to share is that hosting a react app on Amazon S3 costs almost nothing… Yeih!! And finally, I would add the easiness that Amazon S3 provides to users at the moment of updating and deploying. 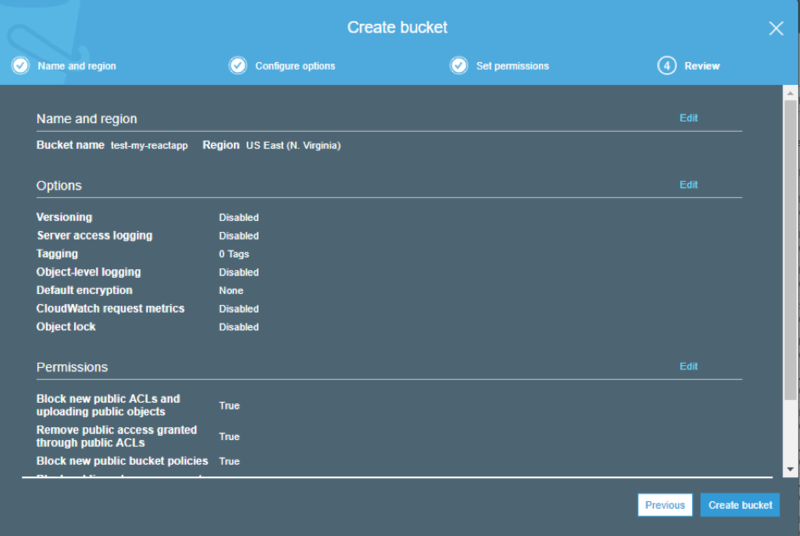 Through this next blog, you will find a tutorial of How to deploy a react app on AWS using Amazon S3 and CloudFront. Choose a domain name, in this tutorial, we’re going to use a subdomain but you can choose a domain as well. Click “Next”. DNS Validation: AWS will provide you some records that you will need to add on your DNS settings. On this step, if you don’t have access to your DNS records, it’s preferable to use the Email Validation, if not, you can use DNS validation method. Review your settings on the summary page at the end. Click “Confirm and request”. Make sure to follow the instructions of any of both methods, so we will have our SSL provided successfully and ready to use. Once you have validated your SSL, you will notice that SSL has an “Issued” status, this means it’s ready to use! Now we can leave S3 aside by the moment, let’s move to CloudFront. 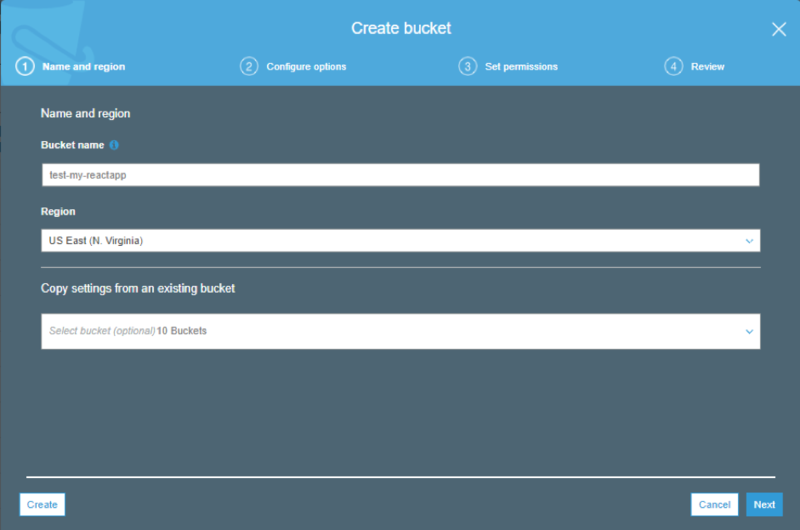 We are going to need a CloudFront distribution so we can link it to our bucket. Origin ID is automatically generated, do not modify it. Optional. Add Headers if needed. Let’s move to “Default Cache Behavior Settings” section, as a best practice, make sure to use the option “Redirect HTTP to HTTPS” to enable HTTPS. Leave the rest of settings by default, and move to Distribution Settings. Well, now that you have a react app running within the AWS Cloud, you can definitely use all the features that the AWS Cloud has to offer you. 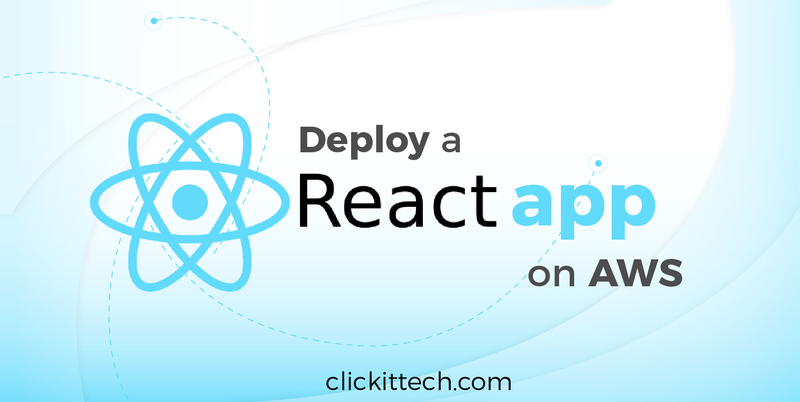 Deploying a react app on AWS is not as difficult as you might be thinking, even though if you have any kind of obstacles, like How to use AWS Cloud Features or Which Cloud to choose? Then don’t doubt on contacting us, we want your infrastructure to be as optimized as possible. 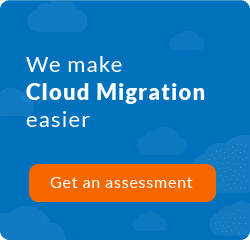 Migrate your application to the Cloud.